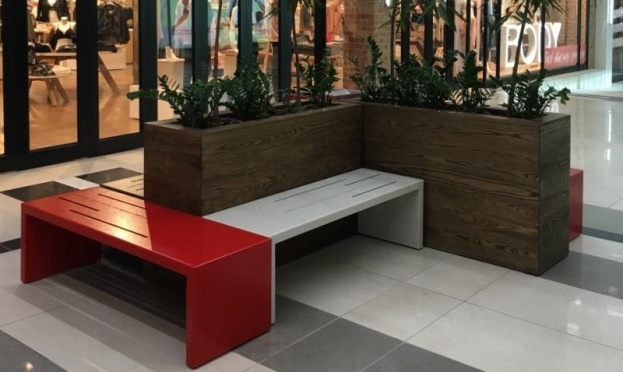 Our custom designed range of benches, stainless steel planters and dustbins are a showcase of the importance of well designed mall furniture. 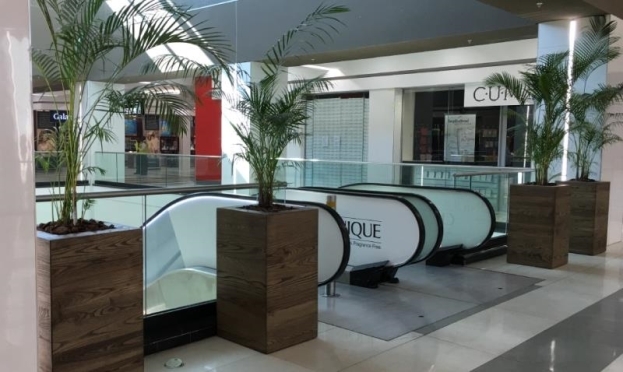 Whether the goal is to create tranquil spaces for shoppers to rest or hosting indoor plants to add a touch of natural life to the shopping experience, these objects play an important role in the interior design of the shopping mall. In pursuit of functionality, the aesthetics of these objects can easily be neglected, but at Badec Bros, we believe that these interior workhorses should receive all the care and attention they deserve. It goes without saying that rugged durability is of the essence, as these objects will be subject to high traffic and use. This however, should not stand in the way of a beautifully design end result. For us the answer lies in nature. Our preference for solid wood and stainless steel helps us find the perfect balance between beauty and brawn. Using high quality stainless steel not only provides a robust durability to the product, but also a sense of exclusive, high end value. This is balanced by the earthy, timeless character of real wood. Whether American Ash, Teak, Gerapa or Meranti, when it has been treated with the craftsmanship it deserves, it will always reward the end result with elegance and beauty. We are proudly known for the fact that we custom design all our products and are capable of handling large projects with ease and professionality. We love to challenge our clients to dream it, and we’ll manufacture it. We have supplied custom made products to more than 150 malls across the world. Need a quote? We will create a 3 dimensional render and calculate a quotation free of charge. Your custom built product(s) can be delivered to you within 20 to 25 working days, upon acceptance of the design and quotation and the required 65% deposit. We proudly offer a 1 year guarantee on all our products.